Arise and go down to the potters house and there I will cause thee to hear my words. Then I went down to the potters house and behold, He wrought a work on the wheels. 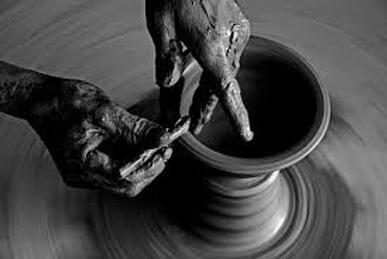 And the vessel that he made of clay was marred into the hand of the potters, so He made is again another vessel as seemed good to the potter to make. ​Substance abuse is one of the largest and most destructive problems our society faces today. It is destroying families, the economy, and raising crime at a rapid pace. In 2012, an estimated 23.9 million Americans aged 12 or older had used an illicit drug or abused a narcotic medication in the past month. The abuse of drugs in our country not only affects the life of the one using but also the lives of those around the user. The Gastonia's Potters House was specifically put in place to help women struggling with these issues and battling to find a way out. My great concern is for the women who are mothers, sisters, and daughters, who are dying in their addiction due to lack of funds and facilities. For 17 years I was an addict, spending much of my time in treatment centers, jails, prisons, and hospitals. I believed I was hopeless and was going to die an addict and the sooner the better. I hated myself and what my life had become. This all changed in 1989 as I sat in a jail cell. It was there I met a person who was about to change my whole life, giving me hope and a brand new start. That person was Jesus, my Savior, my Lord, my all. That night in that jail cell, I surrendered every aspect of my life to Jesus. Soon after that, I went to a Christ centered recovery center for addicts. The staff loved me unconditionally, just the way I was. They took me gently by the hand and led me through the next few months, introducing me to Jesus in such a way that I began to fall in love with Him. I continued to learn many biblical principals, but most importantly, how to apply God's way to my daily life. God miraculously began to restore my family, my sanity, my spirit, and my body. Afterward, God opened the doors for me to obtain a degree in Human Services. I became certified for the State of North Carolina as a professional Substance Abuse Counselor, and I have worked in the field of addiction since 1990. Since that time it has been my fervent prayer to have a place where hurting women could come and find this new life through the power of God. In January of 1996 God began to make the path to fulfilling this vision apparent to me, at that time The Gastonia's Potters House was established. The Gastonia's Potters House sits on ten peaceful acres of land away from the chaos of the world. It is truly a home for the spirit of God and women who desire to know Jesus as their personal Lord and Savior. It is a Christ centered facility where broken women from all walks of life are being changed. The Gastonia Potters is a faith-based program for women struggling with substance abuse/alcoholism and other life-threatening issues. The program is residential and consists of two phases, clients must stay a total of 18 months to complete the program in its entirety. During the first phase of the program, clients are taught the Bible and its application, they are guided and encouraged to get to the root of their addiction and to begin to work towards the process of healing. First phase clients are required to participate in the following: individual counseling, group therapy, substance abuse education, church services, job preparation courses, parenting classes, and volunteering. We believe that family involvement and restoration is critical, and we offer to counsel the families of clients as well. We also work closely with the local courts, prisons, probation offices, and DSS. In the second phase of the program, clients are transitioned into a separate home on the property and are able to begin their journey to re-enter the workplace or seek higher education. Developing positive characteristics such as strong work ethics, budgeting time and money, and responsibility are all of great importance at this stage of recovery. Clients in this stage are challenged to take their faith and apply it in everyday situations as they begin to prepare for program completion. The Gastonia's Potters House is a work of faith, but we do request an entry donation of $1000.00, and a monthly donation of $400.00 per client. Financial scholarships for admission are granted when available, and church sponsorship is encouraged. We are a non-medical facility and clients are required to be drug free for 72 hours before entry. Please see our FAQ page for more details regarding program details and entry.